Rüsselsheim -September 2016. 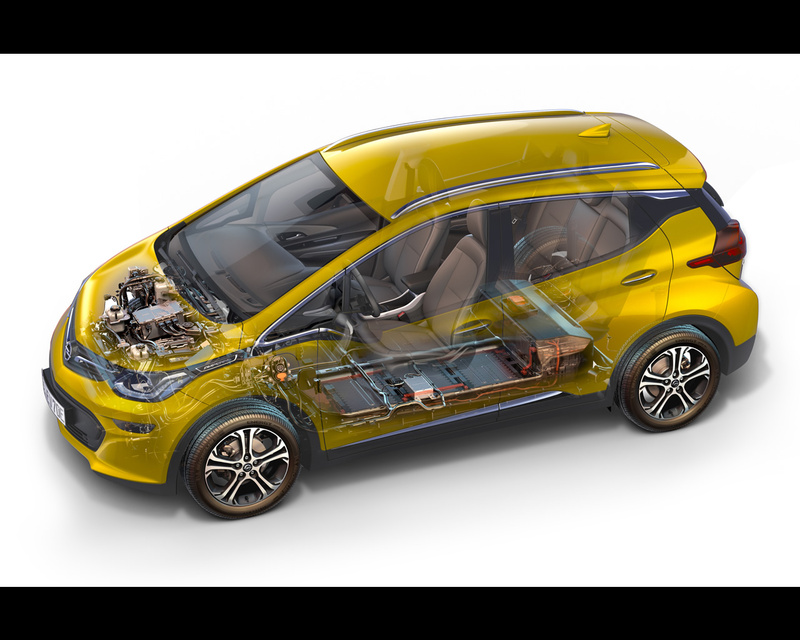 Opel and Vauxhall are unveiling the full electric Ampera e in World Premiere at the 2016 Mondial Paris Motor Show. The Opel-Vauxhall Alpera-e is derived from the Chevrolet Bolt unveiled in 2015 in the USA. 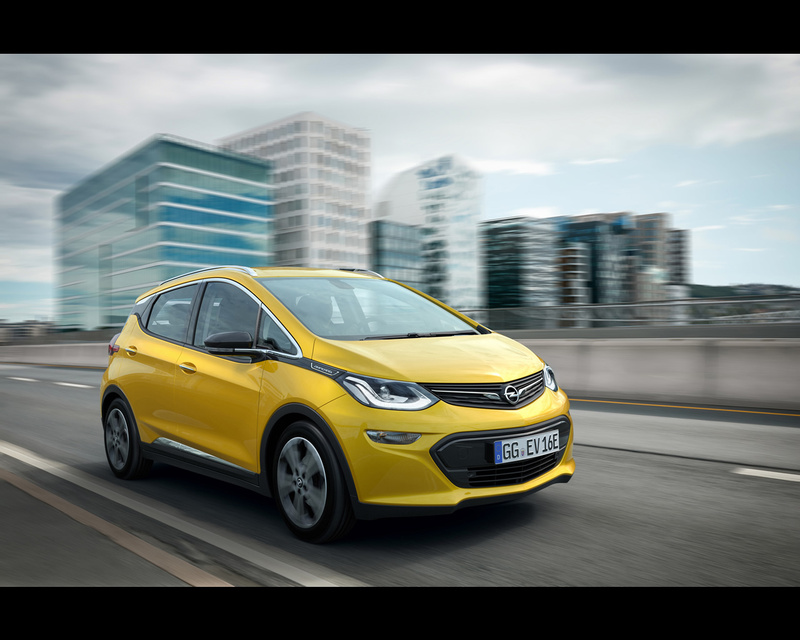 The Opel Ampera-e will is presented with a goal to eradicate the biggest downside of an electric car for everyone – range anxiety. In accordance with the New European Driving Cycle (NEDC, the current standard for range comparisons between different vehicles) the new e‑car from Rüsselsheim can clear the magical 400 kilometer barrier by a considerable margin without recharging (purely electrical range measured based on the NEDC in km: >400; provisional figure). This makes Opel’s new electric compact model by far the best in its segment. In comparison, the BMW i3, even equipped with the optional large 33 kWh battery can only cover 300 kilometers in the NEDC (New European Driving Cycle), the Nissan Leaf manages 250 kilometers, the Renault Zoe 240 kilometers and the VW e-Golf 190 kilometers. With at least 30 percent more range than its closest competitor, the Opel Ampera-e revolutionizes electro-mobility. Naturally, the maximum range in everyday use deviates from the NEDC values. In practice, factors such as road characteristics, weather conditions, driving style or additional load influence the range. 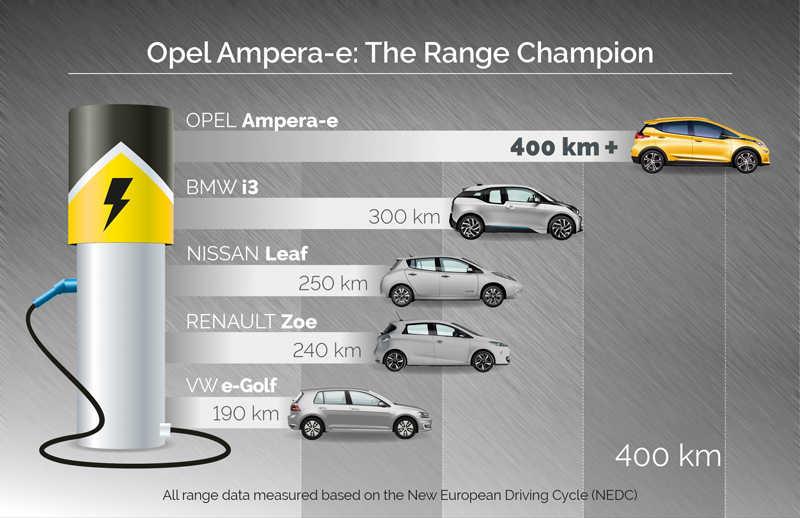 However, the Ampera-e can effortlessly cover more than 300 kilometers even under average everyday conditions. Opel’s newcomer will celebrate its world premiere at the Paris Motor Show. 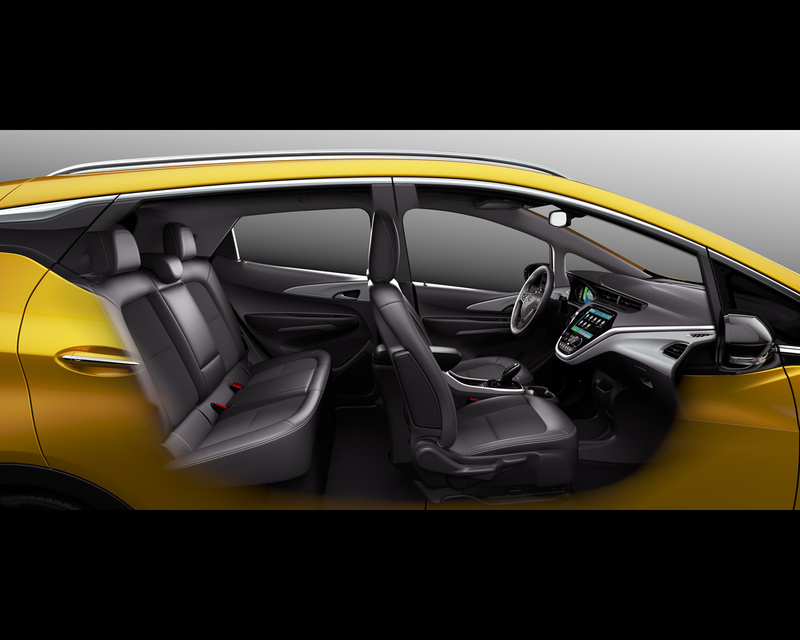 “In the Ampera-e we will bring an electric car suitable for everyday use to the market. It delivers an extensive range and will be offered as of spring next year already. The Opel Ampera-e is not eco-luxury, not a gadget and not a pure second car. 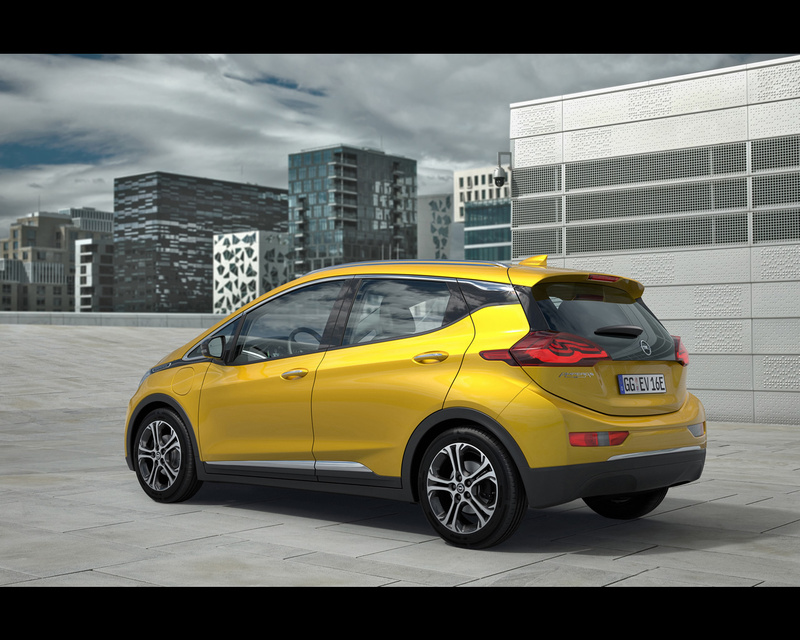 Opel is showing that electro-mobility is also achievable for a much broader audience thanks to the most innovative technology – Opel is democratizing the electric car with the Ampera-e,” said an enthusiastic Opel CEO Dr. Karl‑Thomas Neumann. 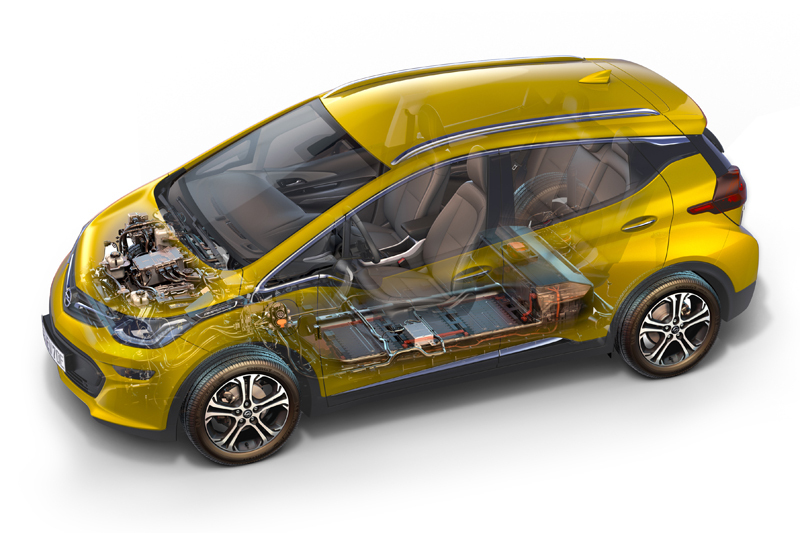 However, the 4.17 meter long Ampera-e not only impresses with its outstanding range. It also offers space for up to five people and a trunk volume of 381 liters, which is clearly above average for cars of a similar overall length. 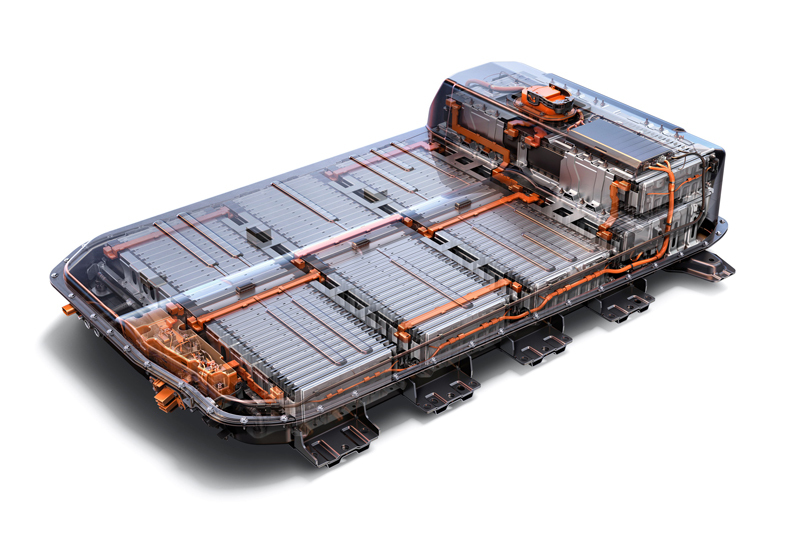 This generous spaciousness is made possible by the clever integration of the ten battery modules. The entire package is located in the underbody and is tailored to the contours of the vehicle. This means that no space is wasted. 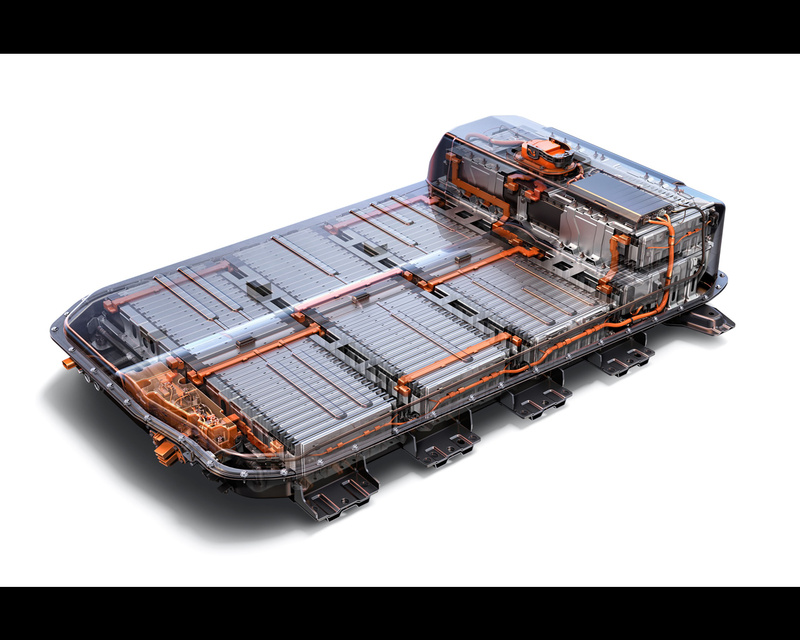 The battery consisting of 288 lithium-ion cells and a capacity of 60 kWh was developed in cooperation with LG Chem. The Opel Ampera-e excites with its acceleration that is on par with sportscars. 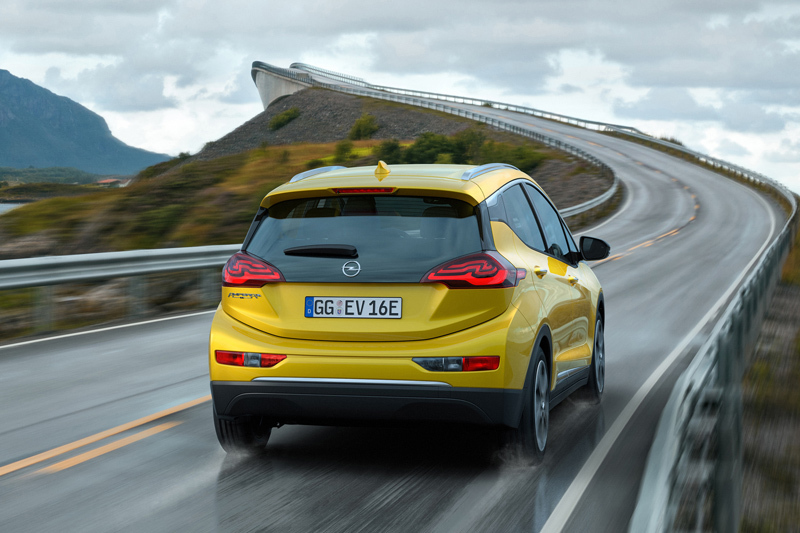 The maximum torque of 360 Nm is responsible for the electrifying temperament of the Opel newcomer. Effortless starts from a standing position (such as at traffic lights) or highway access are two of the Opel Ampera-e’s main strengths. The compact car accelerates from 0 to 50 km/h in 3.2 seconds, mid-range acceleration from 80 to 120 km/h, which is especially important for overtaking, is successfully completed in 4.5 seconds (preliminary figures). Top speed is electronically limited to 150 km/h for the benefit for the overall range. The performance of the electric engine is equivalent to 150 kW/204 hp. But the Ampera-e has even more to offer: the revolutionary electric car allows casual and almost silent cruising while also being able to recharge the batteries when in motion. To do so, the driver just needs to ease off the accelerator in the normal “Drive” mode. The Ampera-e recuperates automatically in overrun and wins back energy from the electric motor that doubles as a generator. The motor’s braking effect is increased when the driver switches to “Low” mode, thus also increasing recuperation. Furthermore, the driver can switch to “Regen on Demand” for maximum energy recuperation via a paddle at the back of the steering wheel. The drag torque of the motor is so high in “Low/Regen on Demand” modes that the brake pedal does not need to be applied to reduce speed to a full stop in normal traffic. The Ampera-e can thus safely be controlled via the accelerator (One Pedal Driving). Obviously, the brake pedal still needs to be applied in case of emergency. Initial vehicle simulation models show that drivers can increase the range by up to five percent compared to “Drive” mode when applying “One Pedal Driving” with the corresponding full recuperation when in dense city stop-and-go traffic. Outstanding digital connectivity is an integral part of a sustainable concept. 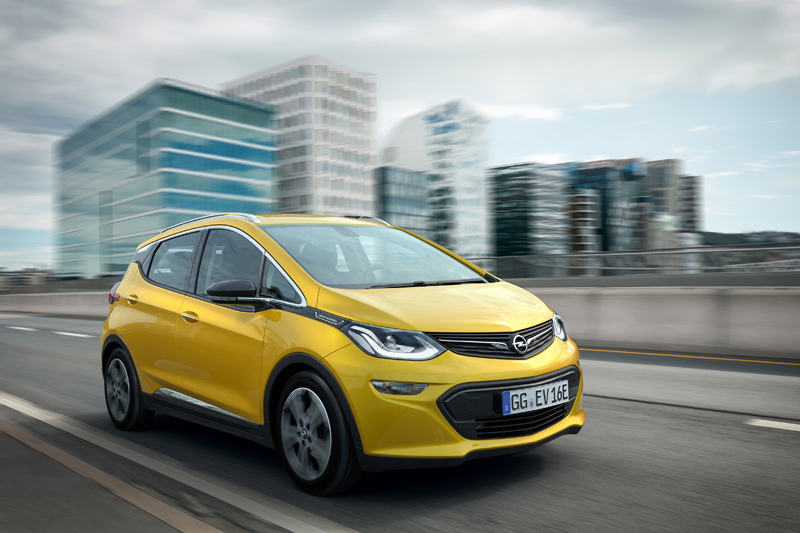 The Ampera-e has both latest generation IntelliLink infotainment and Opel OnStar on board – the award‑winning connectivity and service assistant offers a powerful Wi-Fi hotspot for up to seven devices (depending on the market). The Apple CarPlay and Android Auto compatible IntelliLink systems bring the world of smartphones into the Ampera-e, thus allowing passengers complete access to their favorite music or the possibility of streaming movies.